Oh my, I urgently need to free? my head of this hydromechanics stuff. And there’s so much more happening outside of this microcosm. Now that’s what you get when you’re procrastinating duties from one season to the next. Damn. 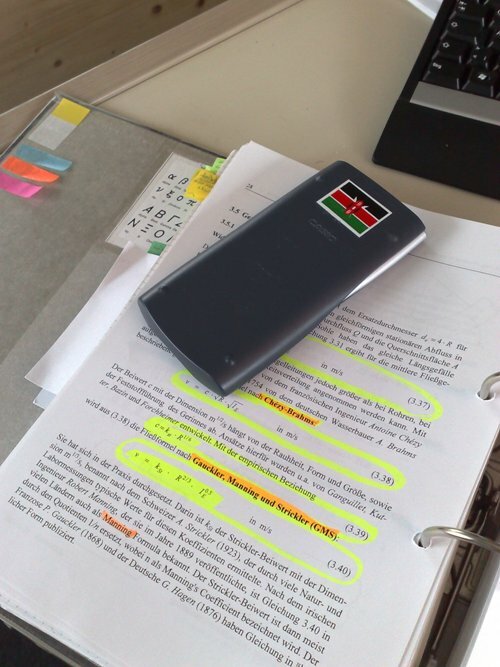 Yikes… I see some statistic formula or is it algebraic stuff sijui “square root to the power of” ….in that maze..Woiii me I do not envy you although I’m also wallowing in some other formulas that are driving me crazy….Good luck Dude!